From fresh pizza to online shopping, automated lockers are sweeping the nation because of their innovative way to solve complex supply chain solutions. 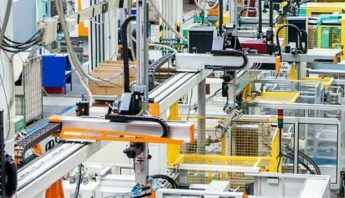 As the name suggests, an automated locker is just that – a locker system that can be automated to control reusable assets. However, our innovative automated lockers are not your standard break room vending machines. They’re intelligent. Automated locker systems are customizable for virtually any industry and are powered with cloud-based software that provides real-time traceability to help you identify, track, and manage your most important assets. Plus, automated lockers will prevent you from making these 7 deadly sins of asset management that should be avoided at all costs. Check out our demo below that illustrates how an automated locker system works. Here are the 5 benefits your organization can achieve with an automated locker system. If you were to add up the time employees and supervisors spend locating the items needed to do their job, you would probably be blown away. 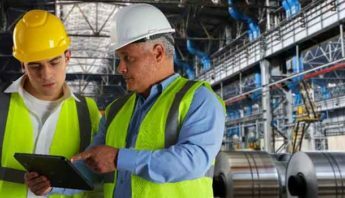 Estimates suggest that supervisors spend as much as 40% of their time “off-task” to make sure their employees have the right equipment to do their job. Misplaced assets caused by human error, paper tracking, or hoarding can certainly decrease productivity. Automated lockers will help increase productivity because all equipment is centrally located for employees, and assets will be accounted for safely in their designated bins. 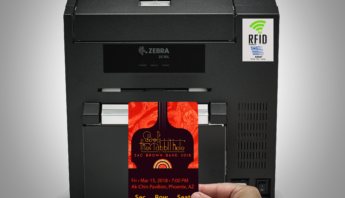 Purchasing equipment such as mobile scanners and tablets are expensive, and many companies consider these assets as an investment in their company. With so many investments flowing through the supply chain, what steps are you taking to protect your investments from theft or loss? 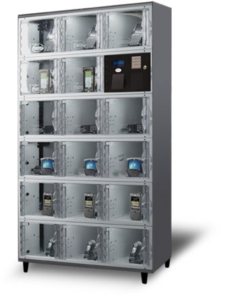 Automated lockers have been proven to reduce handheld loss by up to 30 %, which depending on the size of your company, can be a significant number. Lockers promote accountability and give managers insight into check-in and check-out details to support asset traceability within the supply chain. Just like a vehicle, your assets require regular maintenance to ensure optimum performance and longevity. Automated locker systems and cloud-based software can be customized to record asset health and status. 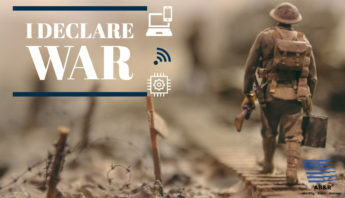 This gives your employees the opportunity to record the state of a device as it’s checked in. The most common conditions include if a device needs to be recharged, has a broken screen, is defective, or needs a software update. 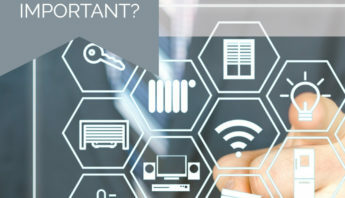 Automated locker systems can also be configured to send automated alerts that notify IT teams when a device needs repair. Replacing inefficient, manual processes with an automated locker system that requires virtually no human-intervention will give your company an edge that’ll make your competitors envious. 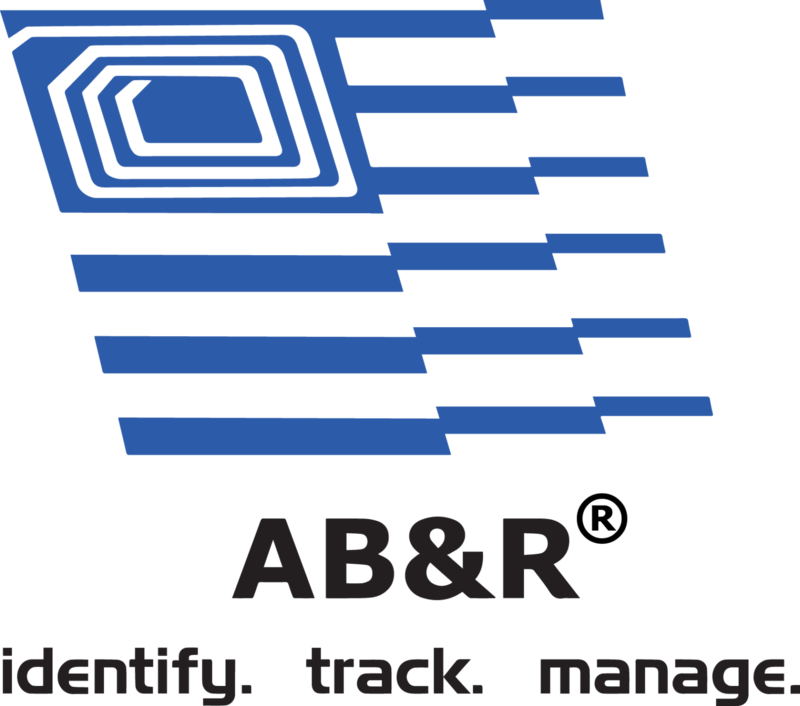 AB&R®’s automated locker solutions include individual compartment control, which are ideal for reusable assets, tools, and instruments. 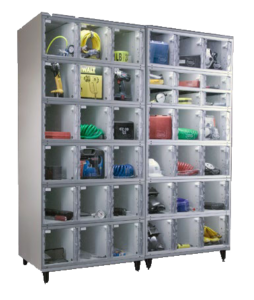 Our shallow-depth lockers are also ideal for managing reusable assets of varying sizes and width. To learn more about our automated lockers, click below to schedule a free 30-minute phone call that’s convenient for you. 7 Deadly Sins of Asset Management. Apex Supply Chain Technologies®. 2016.